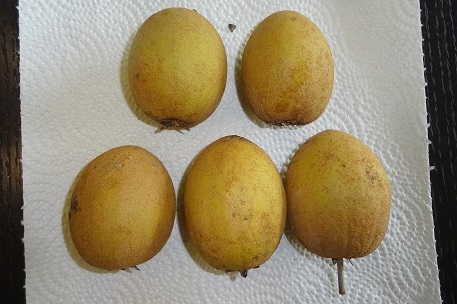 The Chiku fruits below were kindly given to me by a friend (HQ) when I visited him home in early November 2017. 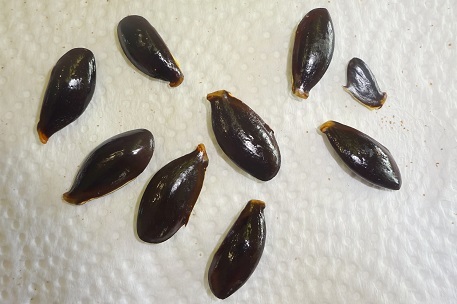 They were harvested from a tree at his place. 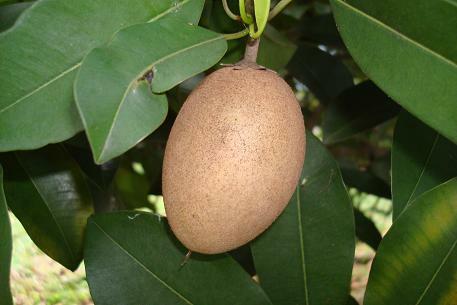 The length of each fruit is about 5.5-6.5 centimetres (cm). 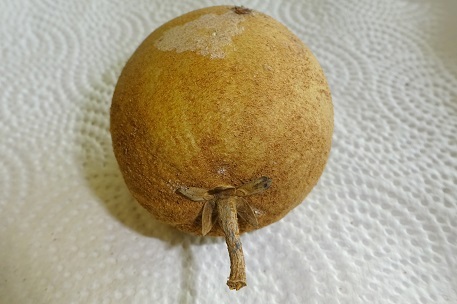 The light brown fresh when ripe is soft and sweet with a few large black elongated seeds (about 2 cm long) embedded in it. 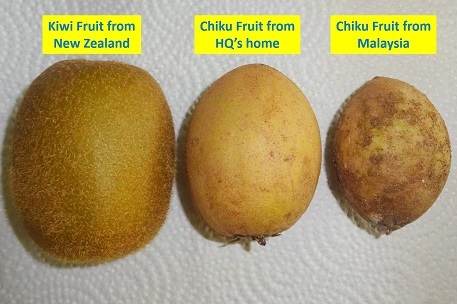 Externally, the Chiku fruit looks a bit like the Kiwi fruit (Actinidia species). 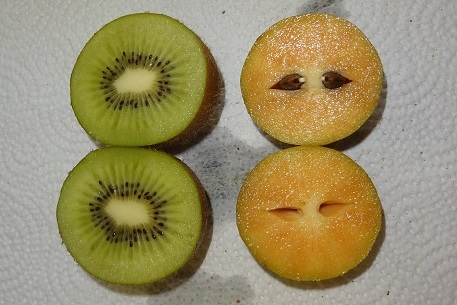 Internally, the pulp of the Kiwi fruit is green in colour (though there are variants with orange colour pulp) with the tiny black seeds concentrated as a ring in the middle of the fruit. 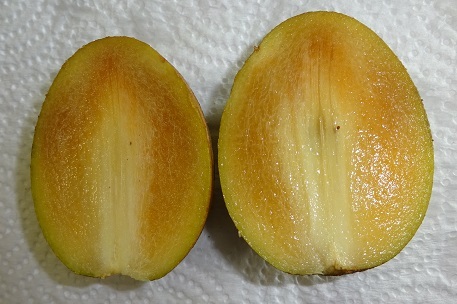 The pictures below compared the 2 types of fruits by placing them side by side, one showing the whole fruits while the other one showing the pulp with the fruits being cut cross-sectional. 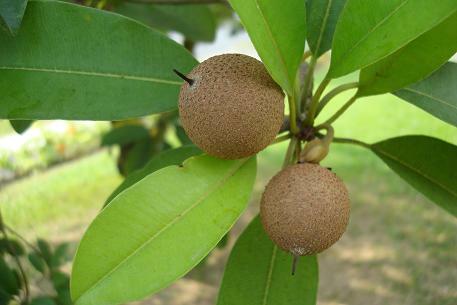 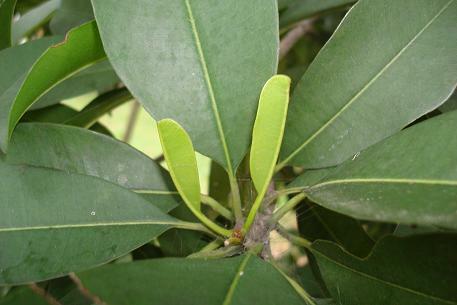 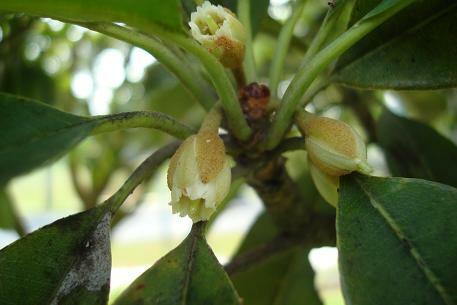 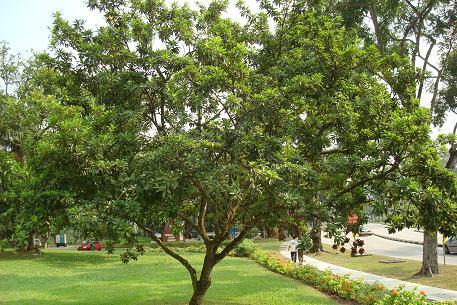 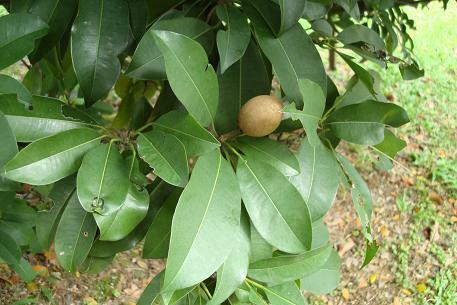 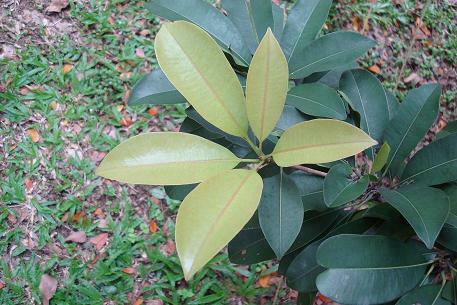 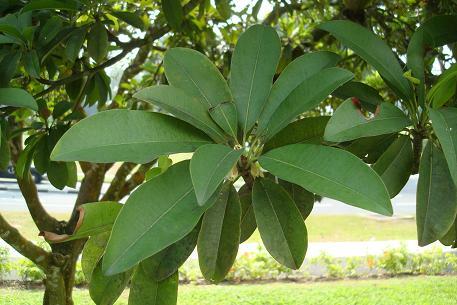 The smaller Chiku fruit from Malaysia was obtained from a supermarket.